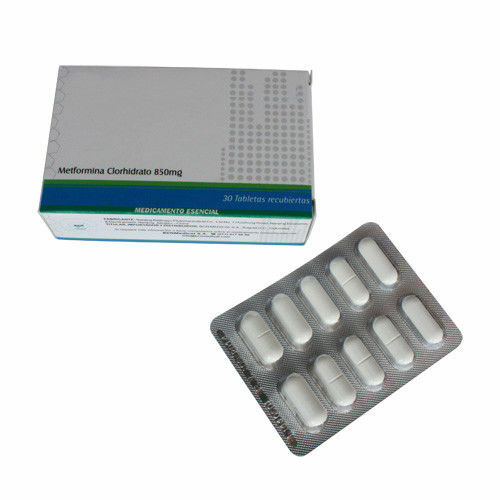 Metformin hydrochloride tablets and metformin hydrochloride Extended-Release Tablets are oral antihyperglycemic drugs used in the management of type 2 diabetes. Metformin hydrochloride Tablets is indicated as an adjunct to diet and exercise to improve glycemic control in adults and children with type 2 diabetes mellitus. Metformin hydrochloride Extended-Release Tablets is indicated as an adjunct to diet and exercise to improve glycemic control in adults with type 2 diabetes mellitus. Metformin is an oral antihyperglycemic agent that improves glucose tolerance in patients with NIDDM, lowering both basal and postprandial plasma glucose. Metformin is not chemically or pharmacologically related to any other class of oral antihyperglycemic agents. Unlike sulfonylureas, metformin does not produce hypoglycemia in either patients with NIDDM or healthy subjects and does not cause hyperinsulinemia. Metformin does not affect insulin secretion.